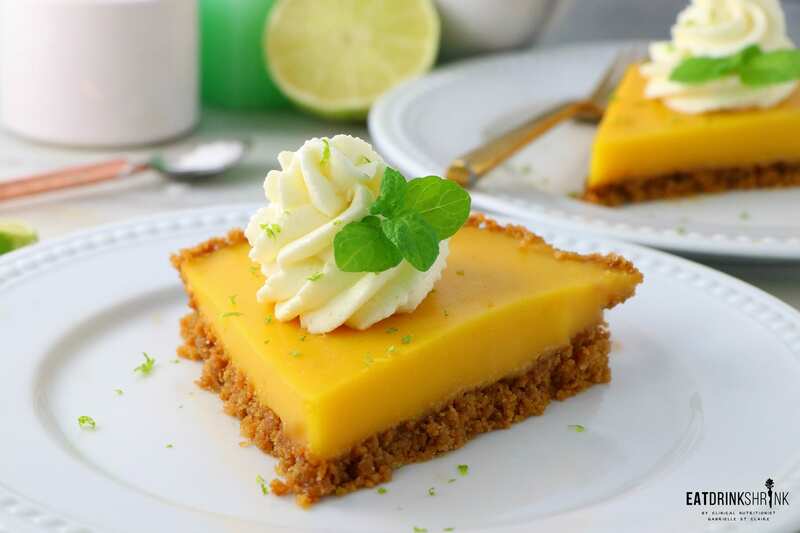 Vegan No Bake Mango Pie - Eat. Drink. Shrink. If there is one fruit I’m forever enamored with, it’s mangos! However, they can be a messy pain to enjoy unless purchased precut which is of course way overpriced. Needless to say, I haven’t used it a lot in my recipes. However, if you use mango puree, which you can find at even at Whole Foods, it mitigates the mess and is just so much fun to work with. 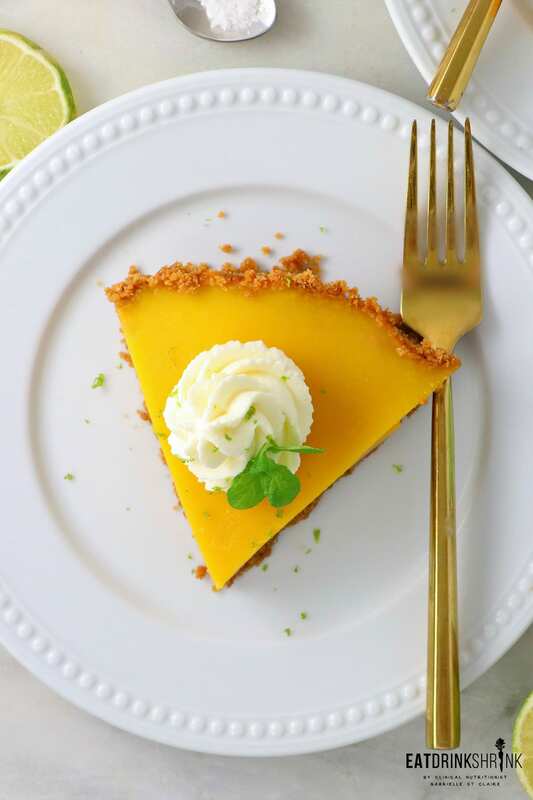 When it comes to summer, I’m all about fresh fruit pies, so this vegan mango pie was a no brainer! 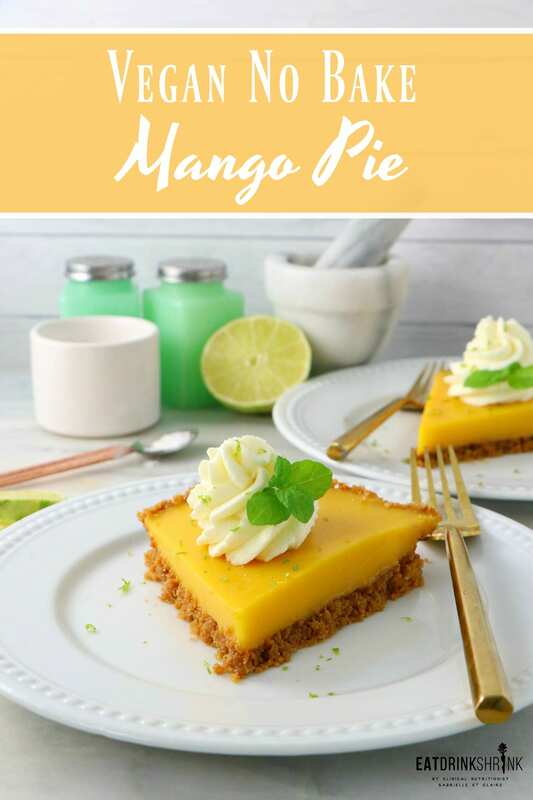 I had tried a mango pie concept last year, but it was more of a cheesecake, incorporated cashews which I’m tired of working with, and the end result just wasn’t what I envisioned. Needles to say, I wanted to revisit this concept to make it less complicated and remove the cashews. and the new Mango Pie was born! What I love about this recipe, is it’s simplicity! 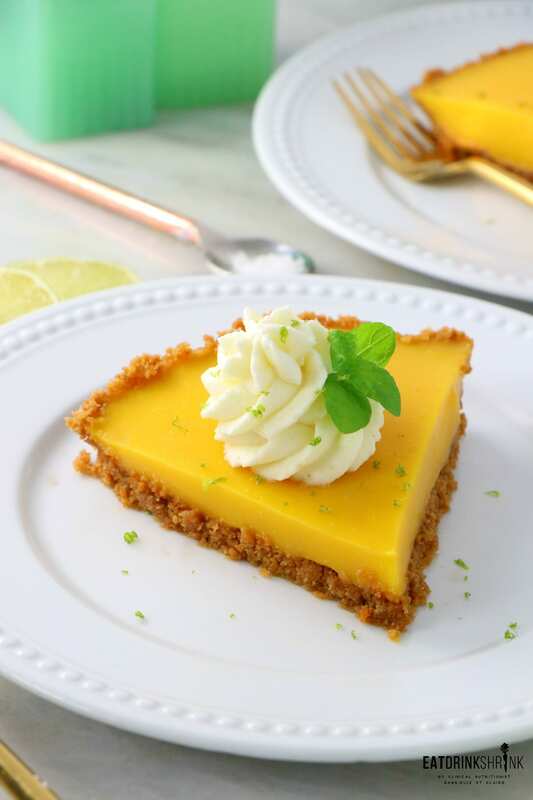 It involves agar agar powder, but you can find it on Amazon and a lil goes a long way, tapioca starch, but you can subsititute with corn starch if needed, features a no bake crust, rich coconut and mango, minimal added maple syrup, can be made in an hour (sets fast), will hold up in the warmer temperatures, and is non vegan approved! 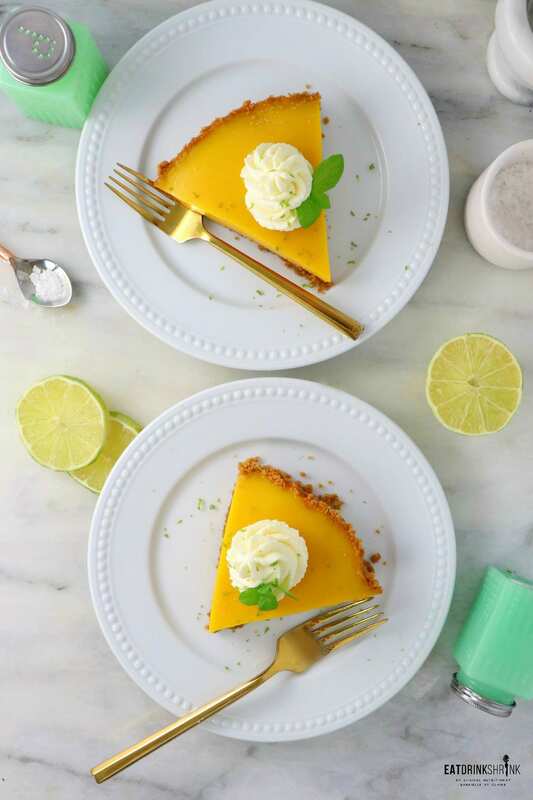 If you love fresh modern vegan dessert concepts, you have to give this Mango Pie a try! For the crust, combine the crushed graham crackers or ginger snaps with melted coconut oil. Press into the pie dish, then set aside in fridge to chill. 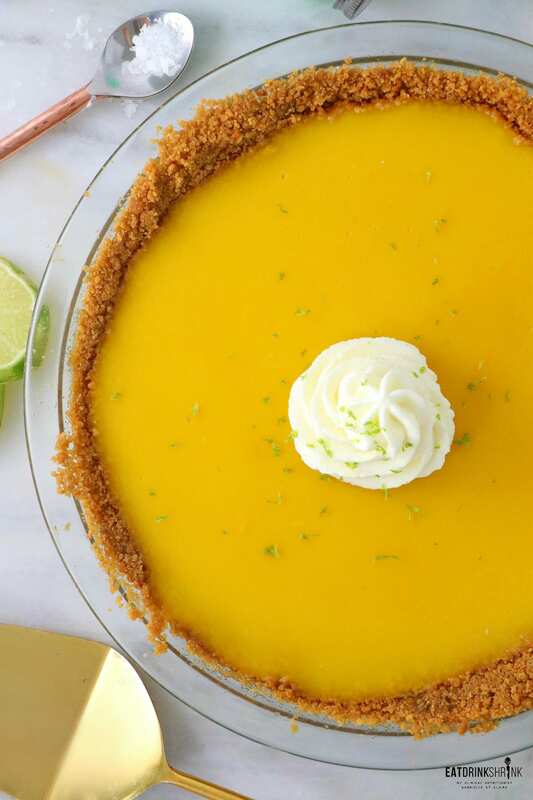 In a food processor add the mango puree, maple syrup, coconut milk, tapioca flour, lime juice, and vanilla blend until smooth. Set aside. Pour the water into a saucepan, sprinkle the surface with the agar-agar powder and whisk. Bring to a boil, then gently simmer for 1 to 2 minutes. Whisk the mango mixture into the simmering agar-agar. Return the mixture to a boil and gently simmer, stirring constantly, until thickened, 2 to 3 minutes. Pour the hot pie filling into the pie dish, refrigerate until firm and set, 3 to 5 hours. 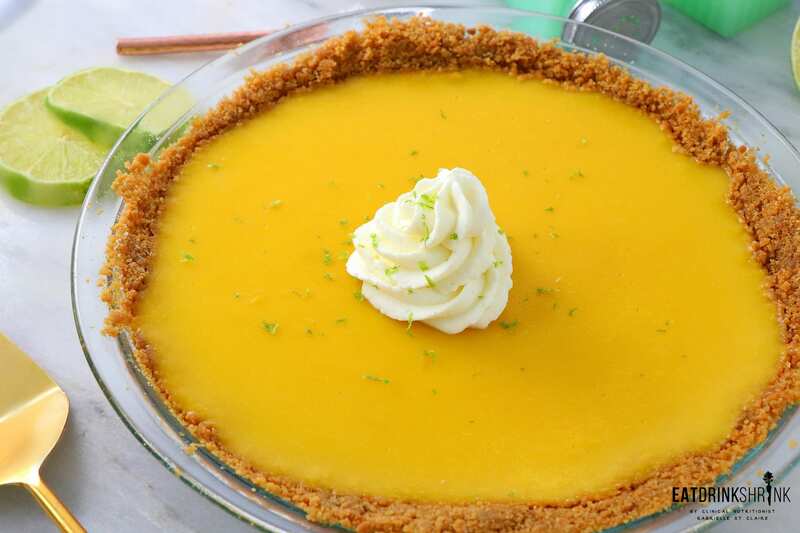 Serve chilled or bring to room temperature, either way the pie will remain firm. Top with Coconut Cream Whipped Topping and lime zest! Yum!! I can't wait to make this! Where do you order your mango puree from? And what brand do you use? Awe yay! I got mine from patelbrothersusa.com It's so much fun to work with and mess free!